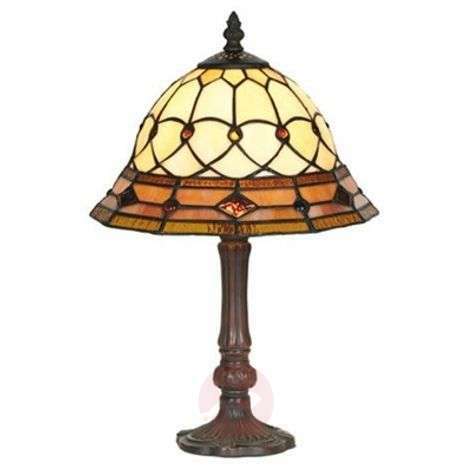 KASSANDRA table lamp is a particularly stylish light source due to the Tiffany style and its best features are highlighted in a room, workspace or reading area. A uniform and very warm light shines through the brown and beige glass of the handmade lampshade. The dark base matches well with the light and ensures that the look is harmoniously rounded off.